Education Minister and New Right Chairman Naftali Bennett referred to the media attack on Justice Minister Ayelet Shaked, his partner in the party leadership: "In recent days strong political forces from the Left joined to harm Justice Minister Ayelet Shaked because they recognized she was the only one who had the courage to change the judicial system. 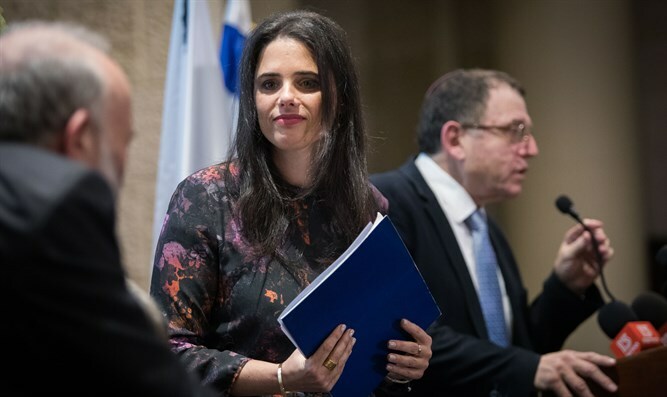 "After 40 years of closed court appointments, when justice ministers and the Israel Bar Association acted as ciphers for Supreme Court justices, when judges made sure to appoint their protégés, Ayelet Shaked came with determination, courage, and wisdom, and affected change. Shaked made wise alliances and appointed 334 judges who faithfully reflect all parts of Israeli society." Bennett further stated "the attack against Ayelet Shaked only reinforces one thing: We won't stop this change." He added that their party, "the New Right party will ensure that Ayelet Shaked continues serving as Justice Minister for another four years to complete the judicial revolution she's leading."